A market marker, also known as liquidity provider refers to a firm, company or an individual who formulates both a sell and buy price in a monetary contract or an inventory item such as goods in stock and property. This is in a bid to get profit arising from the turn or bid-offer spread. According to U.S Securities and Exchange Commission, a market maker is a firm that buys and sells stocks frequently at a price that has been quoted in public. 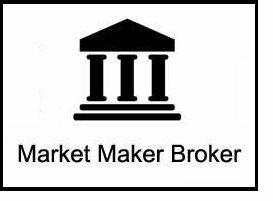 Also, there is the Designated Primary Market Maker (DPM) who is referred to as a market maker authorized by an exchange to provide assurance that he or she will assume a spot in a given appointed option index and security. To get more information about the top market maker Forex brokers, go through the table below. A big share of the foreign exchange trading companies is market makers and banks. The responsibilities of a market maker include both buying and selling from his or her client. Market makers are remunerated through selling similar products to different clients but at different prices. They also benefit from being able to allow assets to be purchased at stable prices, that is, by providing market liquidity which in turn boosts trade. Market makers whose trade involves buying and selling of stocks that are listed in an exchange are known as third market makers. Stock exchanges are characterised by prices that are in alignment with customer’s expectations and/or an order driven market. In such a market, the flow of buying and selling is rather constant hence there is no designated liquidity provider. However, the market makers are still present. The most important players in the foreign exchange market are non-banking financial institutions, retail traders and banks. Retail traders, however, have limited financial power to directly take part in the interbank currency market. Nevertheless, there are two ways around this. Retail traders can be able to participate in interbank currency markets through market makers and electronic communication networks (ECN). But what exactly is the role of a market maker? Acting as a counter-party to a majority of the trades executed by retail traders, by continuously buying and selling currency at a quoted prices in the OTC market. Providing liquidity for traded stocks and assets and making a profit through it. How exactly does a market marker make his profits?A market maker basically trades against the people. By the action of a retail trader buying a currency, a market marker sells. The reverse is also true. A market maker benefits by getting a spread, which is basically the difference between a bid and a quoted price, which is entirely determined by demand and supply. Facilitating prompt transaction of the quoted prices, that is maintaining an effortless flow of price movement. Improving the market quality by formulating the duties of market makers and trading privileges that are applicable to market makers. While there are several markets making regulatory authorities globally. The focus will be directed on two regulators, namely Financial Industry Regulatory Authority (FINRA) and the Financial Conduct Authority (FCA). FINRA is a self-regulatory organization based in the US. It is one of the biggest financial regulatory bodies handling over 4,500 brokerage firms. In order to be able to run any firm, approval must be sought from FINRA. The body is a gateway all securities firms must pass to conduct business in the US. FINRA implements regulations to protect investors and to ensure the markets function honestly. To do that, it enforces compliance with marketing and margin rules, pattern day trader requirements and more. See below for full details of powers and regulations. FINRA came to be on 26th July 2007 as a result of a merger between National Association of Security Dealers and the New York Stock Exchange’s regulatory committee. The aim of the foundation was to cut costs and get rid of regulatory overlap, at the same time safeguard values of public investors, dealers and brokers. The authority was initially identified as Securities Industry Regulatory Authority (SIRA). Additionally, FINRA has the power to renew and disqualify licenses. It can also make inquiries, trace a firm’s historical data and request audits. Best execution rule – The rule’s focus is on the protection of investors. It demands that broker-dealer transactions should be such that they mostly benefit the consumer. Sustainability rule – The Suitability rule proposes that broker-dealers finalize private securities transactions in a way that only suits a specific individual and in alignment with proper audits. Pay to play rule – The objective of the rule is to manage the practices of FINRA members who participate in activities to recoup from institutions that receive funding from the government. That is, in regards to investment advisors. Taping rule – This rule intends to ensure that firms do not get to employ an excess of employees previously working in restrained brokers. Outside business activity rule – The aim of the rule is to safeguard the confidentiality of private securities transactions to avoid conflict of interest. The Financial Conduct Authority (FCA) is a financial regulatory organization that is based in the United Kingdom. It was founded with a goal of improving UK’s economy. It is a self-regulatory body that carries out its practices free of the government of the United Kingdom. Its finances are derived from fees paid by members of the financial services industry. FCA’s structure is that of a company limited by guarantee. This means that it does not have shareholders, but instead has members who act as guarantors. FCA is responsible for regulating financial firms that offer services to clients whilst upholding the integrity of the financial market in the UK. This also includes market makers. The duties of FCA encompass several players in the financial markets. The Financial Conduct Authority has the responsibility towards the regulation of both wholesale and retail financial services firms. See to it that consumers are given impartial and unimpeded market review. 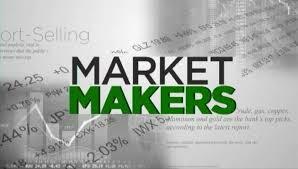 When choosing a market maker, it is vital to pay attention to whether the market maker is reliable or not. There are various indicators of the reliability of a market maker. The duration of the market maker in operation. A market maker is keen about safeguarding its reputation by maintaining the trust that clients have bestowed them. Large leverage and low spreads. This way, you will be able to maximize on profits and minimize on the risks. A market maker should ensure that the trading tools it employs are user friendly and convenient to heighten the trading experience. That includes payment systems, automatic withdrawal and VPS hosting. Having to bear big losses in the case that options that are not good are called and put. A majority of reports pertaining to malpractices are associated with firms venturing into Over-The-Counter markets. These markets include binary options, CFDs and Forex markets. AvaTrade is a leading FX broker. It boasts a loyal client base of over 200,000 globally. A leading broker, with a global presence and over 200,000 trusting clients worldwide. AvaTrade is regulated in all the countries that it has been used in for trade. It is an award-winning FX broker and market maker, earning itself several awards which include Best Affiliates and Best Broker Awards. In order to ensure customer satisfaction where none of them feels left out, AvaTrade has seen to it that customer support is offered in several languages. Also, clients are given personal attention, around the clock service and extensive market knowledge. To ensure the security and safety of the client’s financial assets, clients’ funds are kept in different accounts with advanced encryption to provide the clients with secure trading. AvaTrade also avails automated trading platforms for advanced FX trade stocks CFDs, indices and commodities just to mention a few. 12Trader is a group that consists of world’s best international experts of the financial market. They provide excellent services in the futures contract, stocks and Forex trading. 12Trader also provides its clients with reliable customer support and training that has proven to give valuable experience in trading. Abshire-Smith is regulated by FCA. Abshire-Smith is a financial institution that is located in London. It provides itself with providing top-notch support to its clients. It ensures the security of the clients’ assets by keeping their funds in segregated accounts. Also, it conducts business with utmost professionalism. Additionally, it offers its clients customized services that suit individual needs. 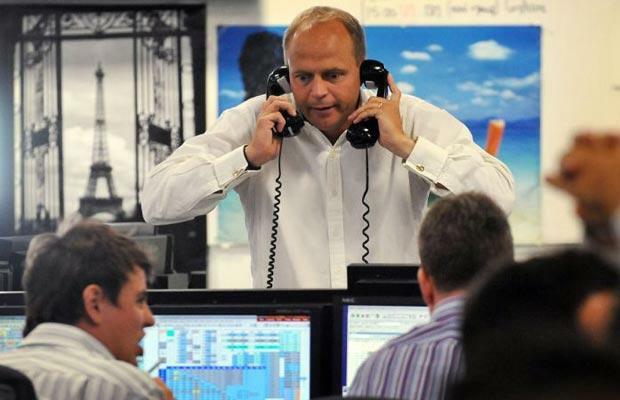 Abshire-Smith vast experience in the financial markets equips it with the know-how that is much required in order to navigate trading in this market.